The population of physicians in the U.S. should look like the population as a whole. But it doesn’t. African-Americans and Hispanics now make up about 31 percent of the U.S. population, but comprise just 15 percent of this year’s first-year medical students. That number would be higher if we could figure out how to keep potential medical students from falling through the leaks in the pipeline from grammar school to medical school and beyond. The leaks are everywhere. Lack of family support: drip. Low-functioning schools: drip. Little guidance or support from teachers: drip. No role models or mentors: drip. As an African-American girl growing up in a lower-middle-class neighborhood in North Carolina, one of those “drips” should have derailed my journey. Yet I managed to traverse the pipeline and become a physician. Here’s how. My mother gave me permission as a young girl to dream big: “You can be whatever you want to be,” she told me time and time again. It wasn’t until I was older that I realized how her empowerment would be tested by external limits. My mom valued education and prioritized it for my sister and me. She understood how important it was to go to college, even though she didn’t complete college until we were adults. We were latchkey kids, but felt her presence even when she wasn’t home. Our homework had to be completed and on the coffee table by the time she got home from work. She took time to review our schoolwork with us. She built a structure that required us to do well academically. This initial foundation helped me develop habits that would later become important. She created the pipeline for me and sealed its beginning section. The median income of a school’s neighborhood serves as a proxy for the quality of education the school provides. Stanford researchers have shown that in 100 of the largest U.S. cities, 75 percent of African-American and Hispanic students were segregated to schools with peers of low socioeconomic status, compared to just 33 percent of white students. This disparity was shown to contribute to diminished educational achievement due to poor access to resources and increased difficulty attracting higher-quality teachers. I was destined to go to a low-income school lacking in strong classroom leadership. Yet that leak closed for me when I was afforded the opportunity to attend a newly opened and highly resourced secondary school. Families in my neighborhood attended city council meetings and fought for our inclusion in the prized school district, which had initially been built to serve the surrounding upper middle-class neighborhood. Over time, the school became known for having the best resources and the highest test scores in the city. The opportunity to enroll in this school let me escape the achievement gap that frequently eliminates minority students from consideration well before their opportunity to apply to college or medical school. Neighborhood parents fighting for equitable zoning policies kept me from slipping through the cracks and nudged me forward. Teachers pulled me back into the pipeline when they noticed I was beginning to lose interest. I enjoyed science and math in elementary school. By the end of middle school, though, I began to follow the pattern of many black girls in my circle. We became interested in science at a young age but later succumbed to the “loss of interest” leak in the pipeline. I was fortunate that my high school biology teacher, Michelle Chadwick, pulled me back in by reinvigorating my interest and teaching me how to be successful. She was an amazing teacher. She innovated in the classroom by making us write songs corresponding to different biological processes. We read fictional books about biological agents. We dissected cats and bred fruit flies. She did everything possible to keep our interest by making science fun. I continued to use many of her innovative techniques in medical school to help me learn information. My high school guidance counselor, Janice Barbee, further fortified the pipeline. She told me about scholarships and signed me up for leadership programs. She was specific and direct. She told me exactly where to go and when. Her consistent but necessary investment kept me in the pipeline and pushed me forward. When I started at Winston-Salem State University, one of the country’s small, historically black colleges and universities, I hadn’t selected a major, and becoming a doctor was far from my mind. That career un-choice was due in part to my limited interactions with physicians, especially black ones. My roommate, though, knew she wanted to become a doctor and was ready to make her dream a reality. Hearing her story was a shock to me. Cynthia invited me to meetings with black physicians and medical students at a neighboring institution. She introduced me to her friends, who were also interested in medicine. After a year of delving into her interest, it slowly became my interest, too. I chose to major in chemistry. 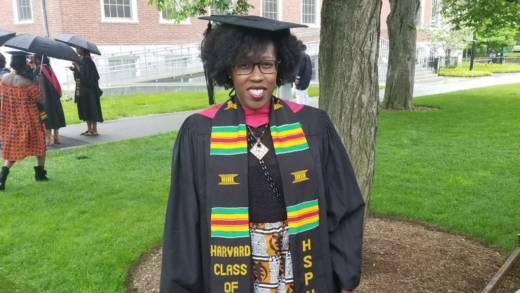 My roommate’s infectious enthusiasm for a career in medicine and her exposing me to other black women pursuing medicine captured me before I fell through the college leak. Her encouragement and dedication to her goals kept me in the pipeline. My roommate created her own path to medical mentors through networking and Google. We formed our own group and relied heavily on each other for information about the process of applying to medical school. Our biology and chemistry department chairs tried to serve as proxies for black physician mentorship. Without their guidance, medical school would have remained a pipe dream. Once I got into Morehouse School of Medicine, I was surrounded by minority students and faculty with the same goal: increasing the number of minority physicians. Leaks in the pipeline still loomed, but they were plugged by my friends and mentors. I struggled to stay focused because of personal issues during my first year in medical school. When I admitted that I didn’t want to finish medical school, my friend Deanna held me accountable and kept me organized. She remained my study partner throughout all four years. Other friends became part of that circle. We challenged each other in our courses and encouraged each other to follow our specialty goals. During my residency, this same circle of friends offered emotional support and helped me navigate imposter syndrome. They continue to support me as a fledgling attending physician. Many medical school students grew up knowing that they wanted to become doctors. Some had parents, siblings, or friends of the family who were physicians. Many had mentors or friends who encouraged them to consider careers in medicine. For minority students like me, the path to medicine is far more uncertain and uncharted. We need to find ways to build stronger, less-leaky pipelines for them. I was fortunate that someone always stepped in at moments when I was at risk of dripping out of the pipeline. Now it’s my turn to pay my experiences forward. Paula Magee, M.D., is a hospitalist in the pediatric intensive care unit at Children’s National Health System in Washington, D.C. This story was originally published by STAT, an online publication of Boston Globe Media that covers health, medicine, and scientific discovery.